Celebrating Success is April 11th! Click here to purchase tickets or sponsor. Think you need help or know someone who might? Contact us today. of survivors to build better futures. No matter where you are in your journey, we are here for you – all the way from crisis to well-being. 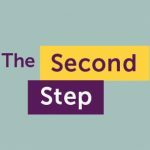 Since 1992, The Second Step has partnered with thousands of survivors to address the aftermath of abuse and build brighter futures for themselves and their children. We know that services alone are not sufficient to help survivors heal from their trauma, nor can awareness campaigns make the necessary impact in abuse prevention. So we find a different way. See how you can contribute today. We work with clients to connect discrete points of service and build supportive social networks within a framework of trauma-informed care. We help make different social service interventions more effective, bridging gaps between service providers and helping survivors become stronger and more resilient over time. But we can’t do it alone. Join our community of supporters, and make change in your community today. ACROSS OUR RESIDENTIAL PROGRAMS, 21,000 DAYS AND NIGHTS OF SAFE SHELTER AND HEALING PROVIDED EACH YEAR. JOIN US FOR TRIVIA NIGHT ON October 21st! Join us for Trivia Night on June 27th! LGBQ/T Relationships Youth Group – starting May 1st @6:30pm! Since 1992, we have partnered with thousands of survivors to build better futures. Our offices are open from 9am to 5pm, Monday through Friday, and outside of these hours by appointment.